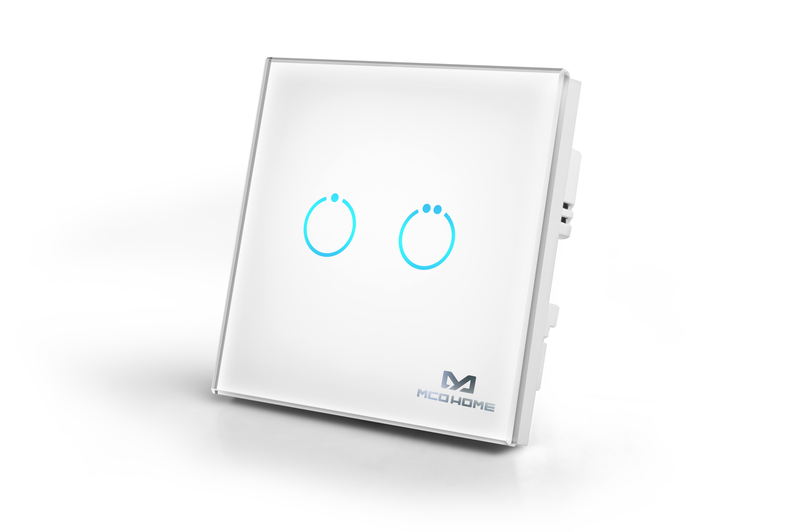 Product information "MCO Home Glass Touch Switch GEN5 (2 Buttons), British Standard"
The TPS312 GEN 5 by MCO Home is a wall switch with 2 integrated switch relays for British standard wall boxes and now it is possible to control scenes with it. The relays can be controlled both with the touch switches, which are integrated into the glass surface, and via Z-Wave commands. The relays can switch 2 loads with up to 1,100 watts each. Beside local switching the device can be used to control 2 groups of directly associated devices. A blue LED on every button indicates the switching status. 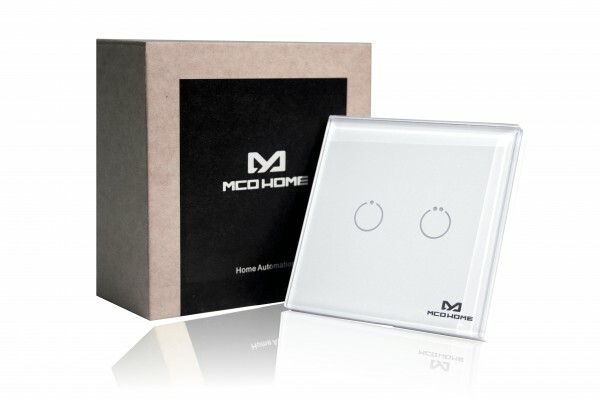 With the stylish glass wall switches by MCO Home you can easily integrate your already installed lights into your home automation network. Without installing any new cable, you can switch your lighting as usual via wall switch – but thanks to Z-Wave technology also via remote control, smartphone or sensor-controlled automation. Related links to "MCO Home Glass Touch Switch GEN5 (2 Buttons), British Standard"